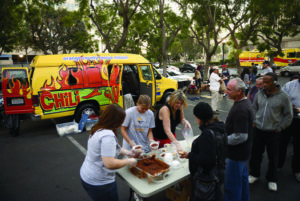 CRUX is partnering up with Orange County Rescue Mission (OCRM) to serve at the Chili Van Outreach on Saturday, February 23rd. The newly renovated vehicle provides hot meals, beverages, and bread to more than 200 people who are either homeless or don’t have enough money to put food on the table in poverty-stricken areas of Orange County. On this night, CRUX students will help OCRM staff pass out portions of chili, coffee, and fresh bakery bread. In addition, they will have a chance to pass out Bibles and pray with people who wants prayers. We hope your child(ren) can join us for this awesome night!! PLEASE sign up if your child(ren) is attending this event! This will help the staff arrange the transportation accordingly.